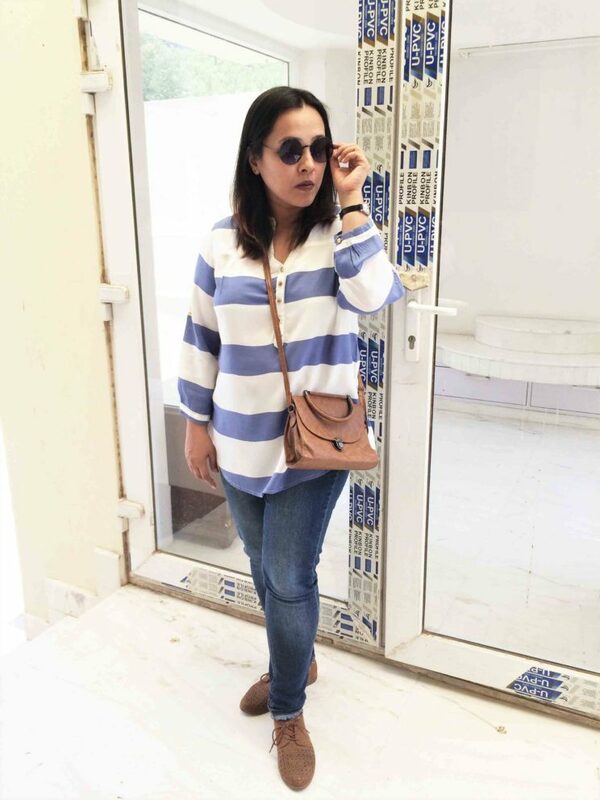 Broad stripes in a color palette of pastel blue & white….it cannot get more summery than this! 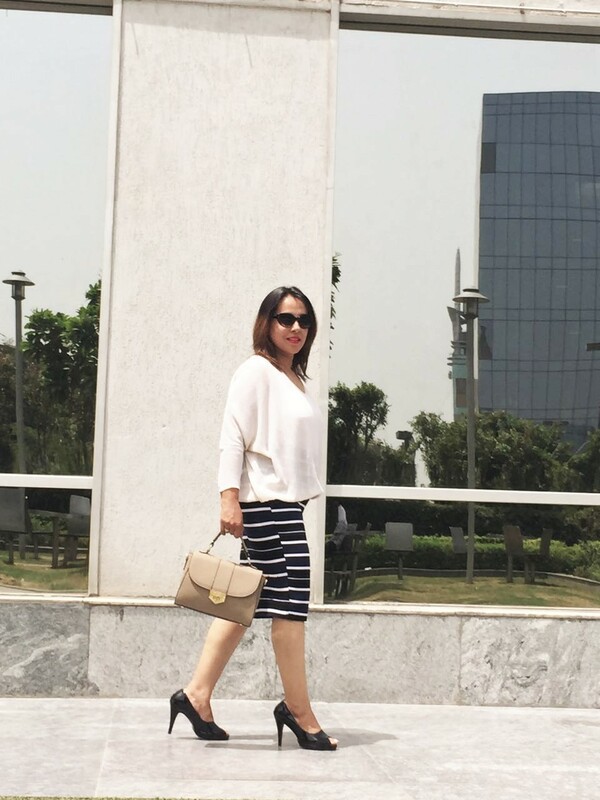 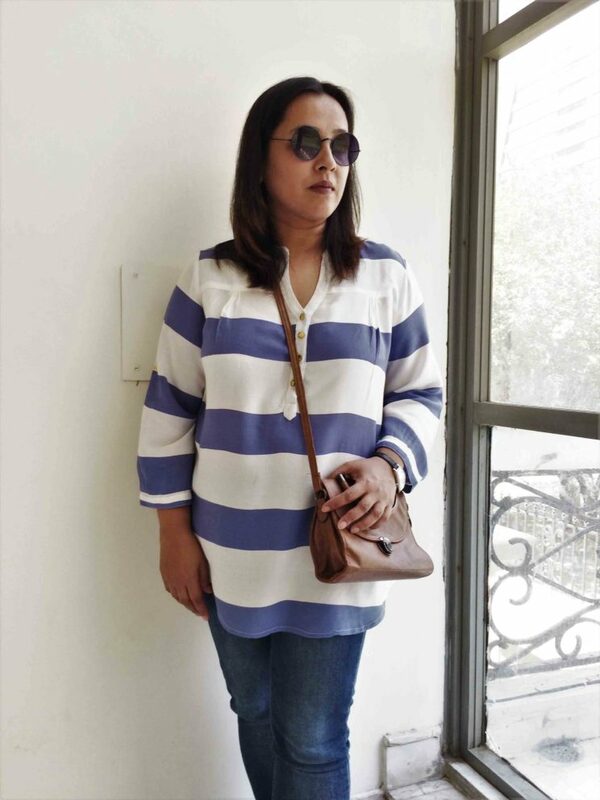 Simple, elegant, minimal summer look with the staple cotton stripe top. 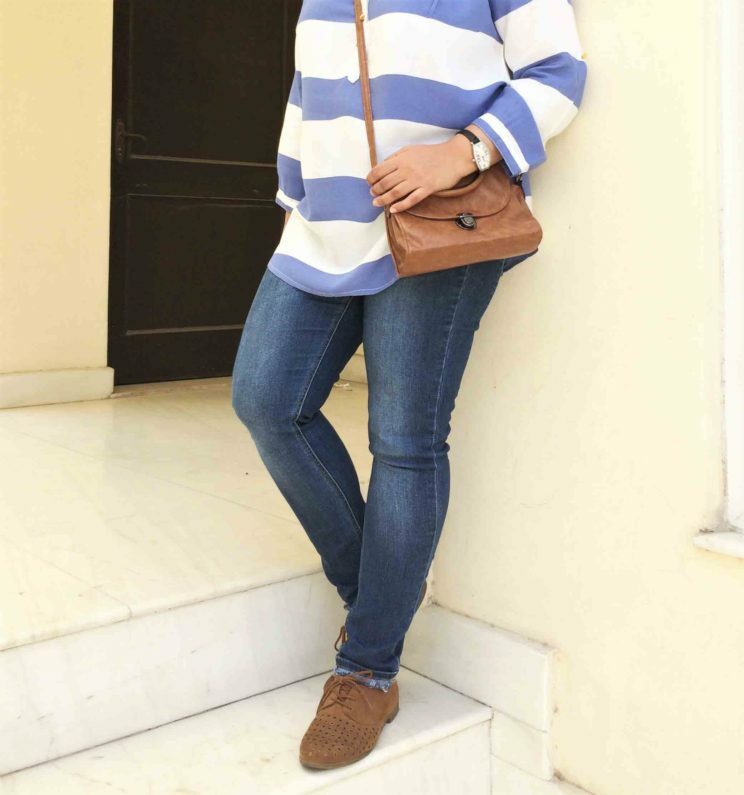 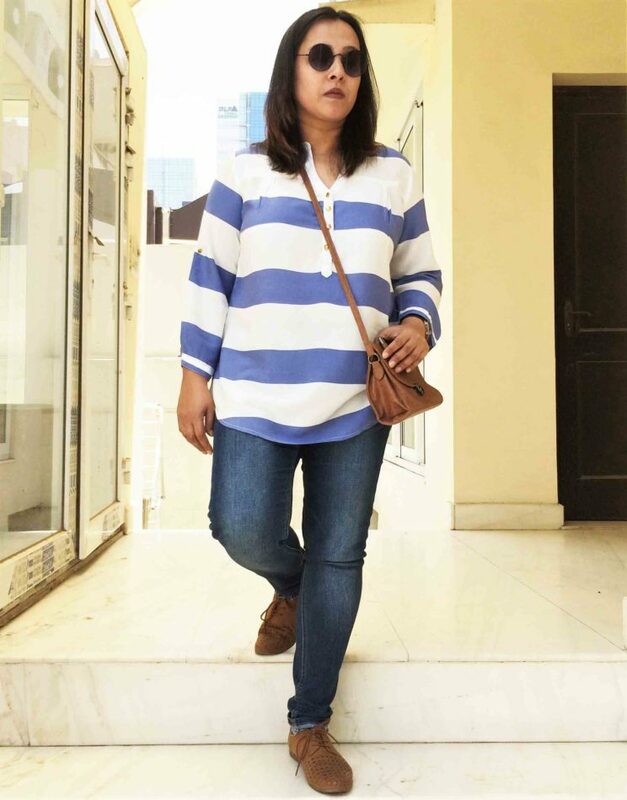 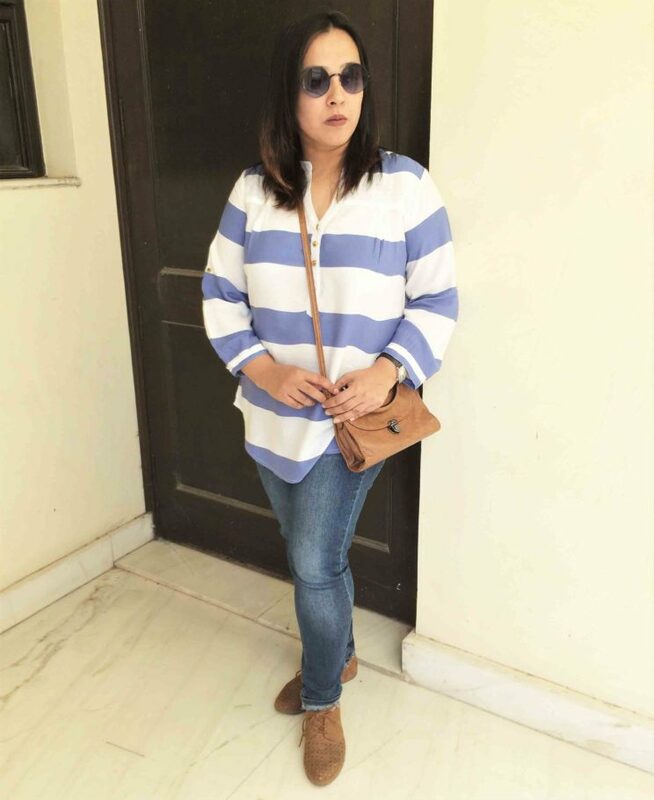 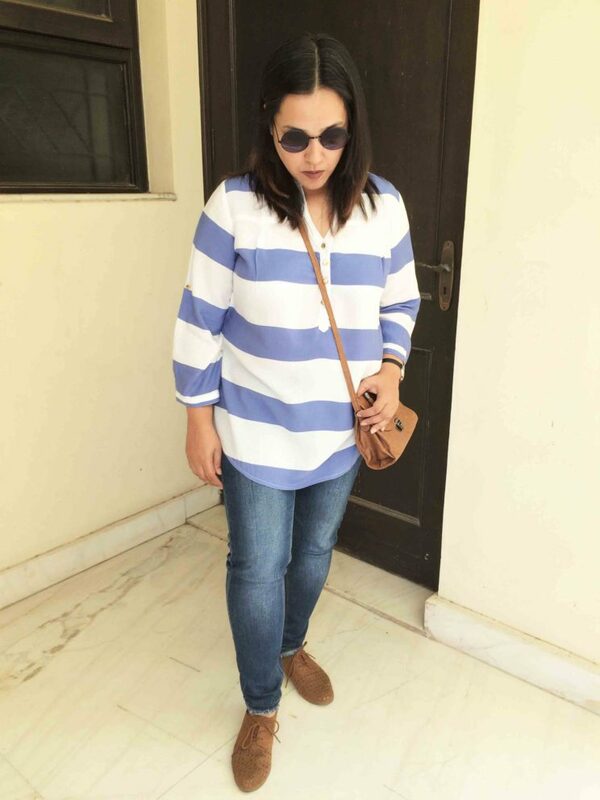 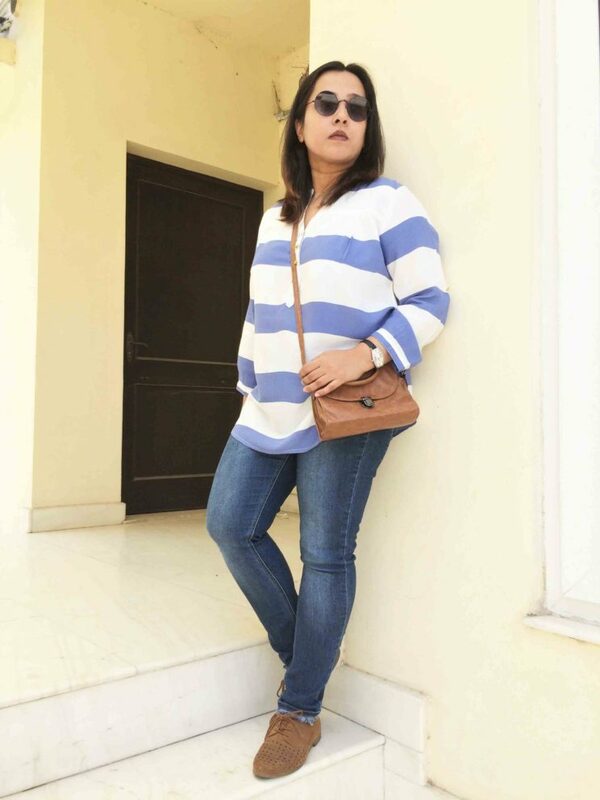 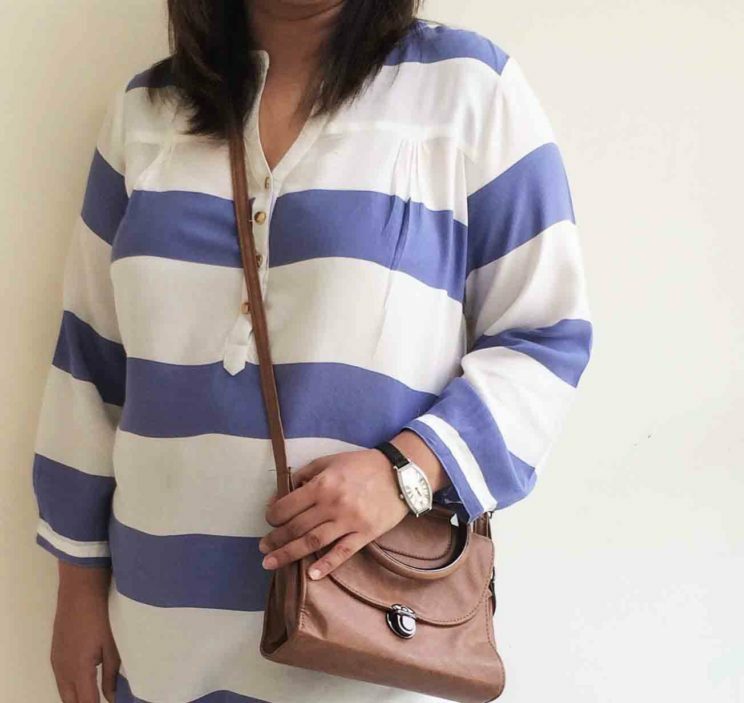 Combination of blue & white stripes is as classic as the combination of denim & tan. 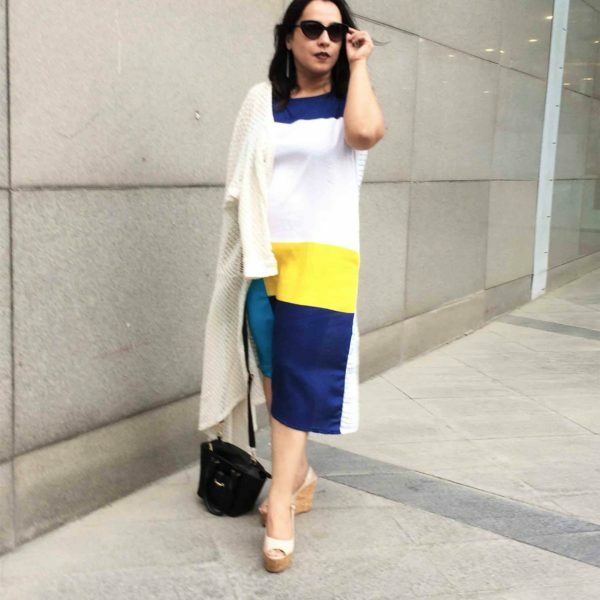 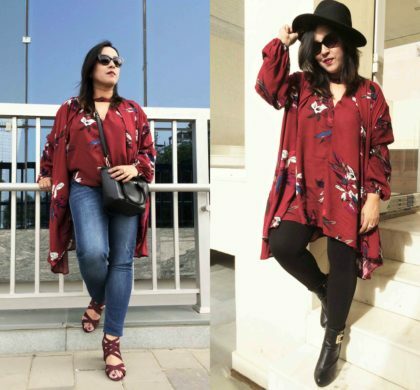 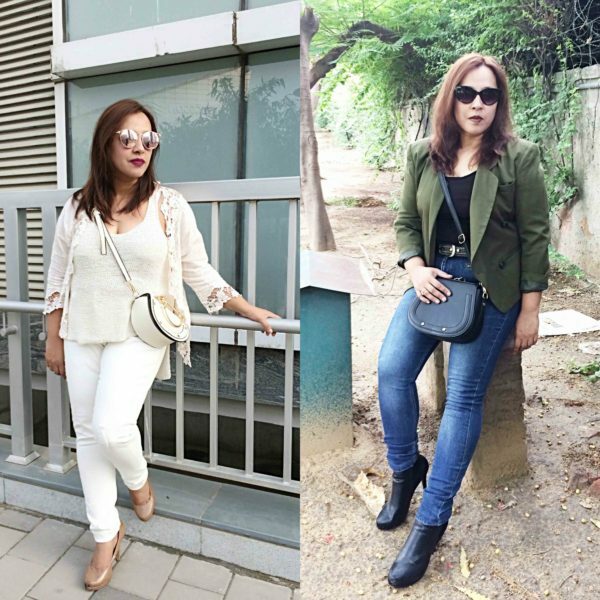 Bringing together two classic color combinations in a single look that spells understated sophistication and gives loads of summer vibes. 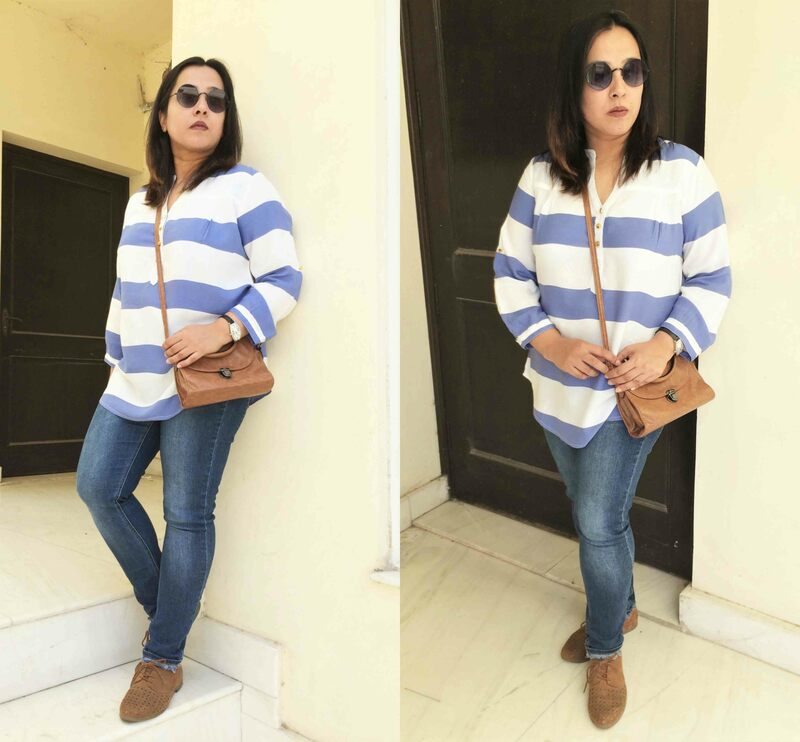 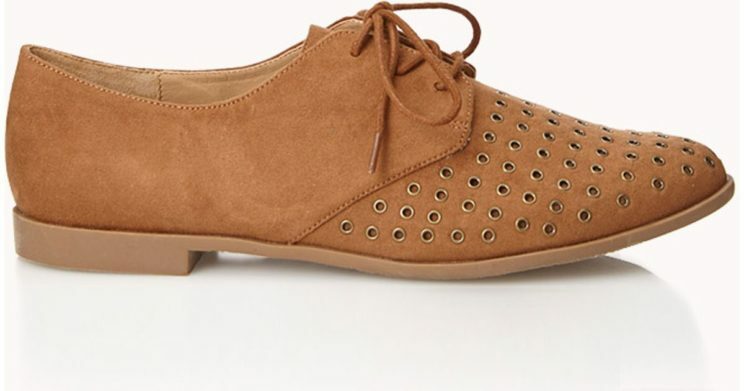 These two Forever 21 pieces—Stripes top and Suede tan grommet trimmed Oxfords, are great wardrobe essentials which can easily transition you from summer to fall with simply a few human hair wigs add-ons!